Are you an apprentice, a new graduate or a working technician? If so, read on. Our professional qualification is a great way to get the credit you deserve for your technical expertise. It will also help to move your career forward. What is professional qualification and how does it help me? When you become a professionally qualified technician, you show that you can do your job with a high level of skill and knowledge. It proves to employers what you're capable of, and the commitment you've made to your career. As a qualified professional, you can call yourself an 'engineering technician' and put the letters EngTech MICE after your name. The qualification is awarded by ICE on behalf of the Engineering Council. It means you're registered with the Engineering Council and a member of ICE at technician grade. The engineering technician qualification is for anyone in the construction industry who carries out technical work competently, safely and independently. You don't need specific educational achievements, but having a level 3 qualification (BTEC or NVQ) will be helpful at certain stages of the assessment. If you are on an apprenticeship, we may be able to carry out the End Point Assessment for your apprenticeship making you eligible to become a qualified member of ICE and awarded the letters Eng Tech MICE without further assessment. Unlike many people, I didn't study engineering at college. But after a year working in photography and other jobs, I decided I wanted a career that would be rewarding, varied and interesting. My first job was at Mouchel. I started out as a trainee technician working on highway designs. It was this role that made me realise how much I enjoyed working on site and helping to make things happen. After Mouchel I went on to work for Balfour Beatty and I'm still here now. I'm pleased to say that my career has moved on a lot and I'm a section engineer, currently working on a £40m project. My role involves managing the installation of the tower cranes and pre-cast construction. This needs a lot of forward thinking and co-ordination with other contractors. Being part of a construction team is hard work, but it's all worth it when you hand over a project that you can be proud of. Completing my first construction project, which was a high school, was really enjoyable. When I saw the children on their first day that made it particularly rewarding. I'm glad I became an ICE member because it really endorses my skills. It also helped me to get the job I have now. At the time, my interviewers were very interested in how I had proved myself to become a professionally qualified technician. Our clients also like to see that my skills, knowledge and experience have been recognised by a professional body. 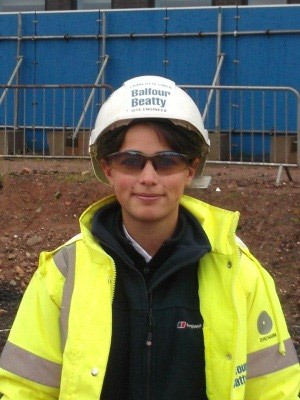 I started working in civil engineering when I was 16, straight after finishing my GCSEs. I wasn’t sure what career I wanted and the opportunity arose for an apprenticeship at Tata Steel Projects (formerly Corus). Computer aided design (CAD) was already an interest and I wanted to go into an apprenticeship rather than continue studying. Civil engineering appealed to me as I liked the idea of designing something and seeing it right through to construction. The challenge and diversity of my work is brilliant. Some of it is office based - for example designing railway level crossings, but I like to visit every site before I start my design. I love being part of a team and working together to overcome problems. I also enjoy helping new members of the team to develop their skills and always learning myself through new projects and challenges. I joined ICE as a student member in 2007 when I started my apprenticeship scheme. Tata gave me the opportunity to study one day a week and sponsored my application for ICE membership. This suited me as I enjoyed learning the theory at college and then putting it into practice at work. 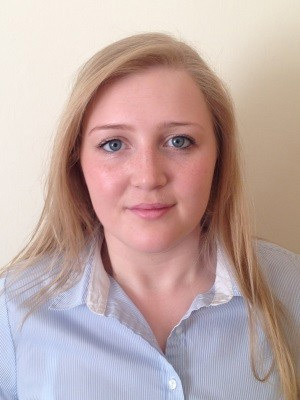 I was also mentored by a chartered civil engineer during the application process, which was very valuable. Qualifying as a technician member in 2012 made me very proud and has opened new doors. It has helped me progress to an engineer role, which means I have more responsibilities and manage projects. Tell us how the experience you've got from your work has given you the skills and knowledge you need. Our application form will help you to do this. You will need to include details of your academic qualifications (if applicable), answer 5 questions on how you meet the Standards, provide your continuing professional development (CPD) records, and include some brief examples of your work. You also need to pay the application fee and find two sponsors to support your application. (One must be a qualified member of ICE.) Each sponsor has to fill in a sponsor questionnaire. We will then invite you to an interview - Technician Professional Review with two experienced civil engineers (reviewers), to talk about your experience in more detail. Please read the technician application guidance which will help you with your application. You can also view our routes to technician membership webinar. To recognise the achievements of our technician members, we provide awards that recognise outstanding achievement and provide further opportunities. Up to £40,000 per annum plus pension, bonus and benefits.